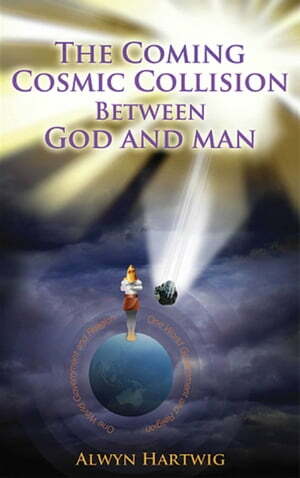 Collins Booksellers - The coming cosmic collision between God and man by Alwyn Hartwig, 9781742841144. Buy this book online. This book is about the God given dream King Nebuchnezzar had which was interpreted by the prophet of God, Daniel. This revelation from the dream affects all of us today. We are living at a time when there will be a one world government and religion. But this time is also nearing the fulfillment of the above dream when the God of heaven will set up an eternal kingdom which will destroy man’s one world government and religion. Jesus Christ came over 2,000 years ago and proclaimed the beginning of this kingdom which all people must enter by a spiritual rebirth. The word of God reveals that soon this kingdom will come on earth literally and Jesus Christ will rule on earth for 1,000 years. This time is a time of true peace and restoration for the earth and even the animal kingdom. Today’s religions, including much of the religious church will be replaced by God’s kingdom when it comes on this earth. This book reveals world history from God’s perspective and shows what His plans for the world are. Are you in God’s kingdom? Will you be one of His when He comes?